Jose, is a local guy from Mazatlán who engraves glasses and creates custom jewelry. We have known Jose for many years and he is a good guy! 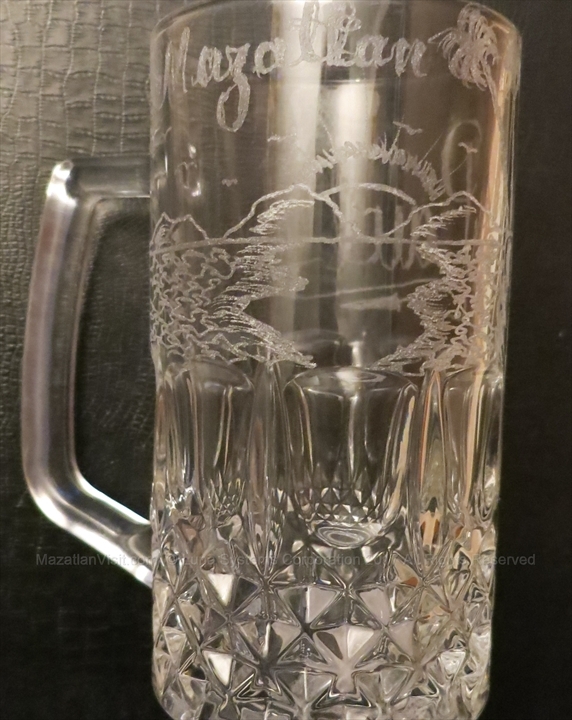 Jose uses an engraving tool to do fantastic pictures and designs on glassware. In 2017, Jose started making custom jewelry. When you see Jose he will have a collection of engraved glassware, but best of all you can have him do custom designs for you. We had him engrave some beer mugs with names and designs of Mazatlán's three islands! They were fantastic. You can tell him what you want, agree on a price and he will do the engraving while you wait or within a day or two. Jose is a good guy just trying to make a living for his family. If you want any custom engraving done on glassware or some custom jewelry, please seek him out and use his services! Where can I find Jose? You can usually find him around the Golden Zone. Most days, he can be found at the Hotel Costa De Oro in the afternoons. 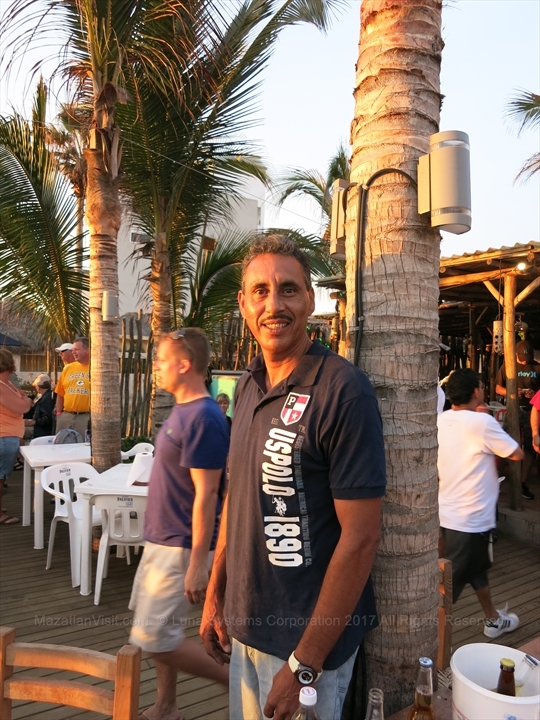 He is usually at the Brenster's Beach Bash on Tuesdays(October to April) from 2pm-6pm at Diego's Beach House.